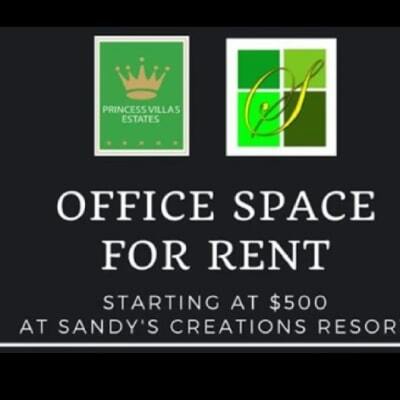 Sandy's Creations Resort offers its guest instant access to any of its tenants and their amenities. You can have your daily workout at the gym, get your hair done, go for a massage, pick up some items and plants, have lunch and pick up a few groceries on your way home. Sandy's Creations Resort is truly a one stop shop for all your leisurely needs. 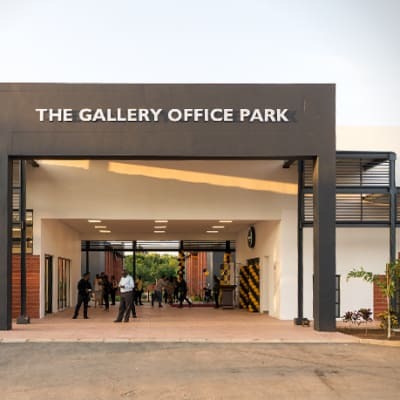 There are a range of leading Zambian businesses to be found at The Gallery Office Park. 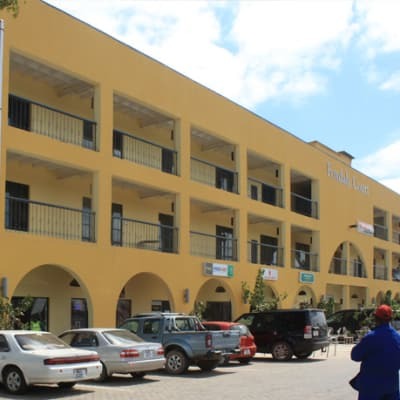 It offers pleasant surroundings with ample parking and restaurant. 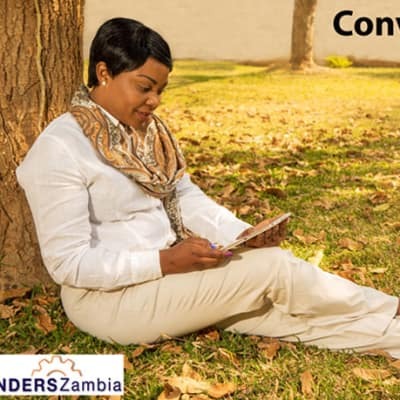 Tenders Zambia compiles a daily overview of all tenders, consultancies, supplier registrations, calls for funding proposals and other business opportunities advertised in print and online media in Zambia. An email notification service provides clients with direct access to potential business opportunities in Zambia. Wild Side Tours provides customers with an online platform to facilitate the management of bookings for all accommodation and activity in Livingstone and the region. Since 1992, this company has been operating in Livingstone providing end users with comprehensive information about the history and culture of Zambia. This is a simple concept individual business cards are categorised and reproduced in a convenient A5 size book, with a handy index of categories and companies at the back. 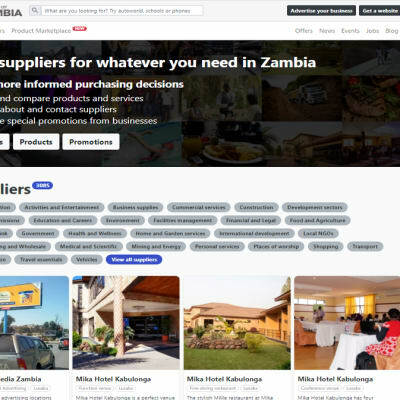 Now in its eighth year of production, they have built a reputation as a useful tool for accessing the up to date contact details of decision makers in Zambia.